Snuggled in the Gallatin Valley surrounded by the mighty Rockies, Bozeman is a lively university town with a diverse choice of attractions and activities. With more than 300 sunny days a year, Bozeman, Montana, is a four-season tourist destination for visitors of all ages. With Yellowstone Park just a short drive away, miles of hiking and biking trails through Gallatin National Forest, rivers and streams full of fish, fabulous skiing in the winter, great museums, its own symphony orchestra, theatre, opera and ballet, Bozeman is a city that is very easy to fall in love with. Palisade Falls is a towering 80 foot drop off a rugged vertical rock wall at the base of Palisade Mountain. The falls are a short drive from Bozeman through Hyalite Canyon and are one of the most popular hikes for families with children. 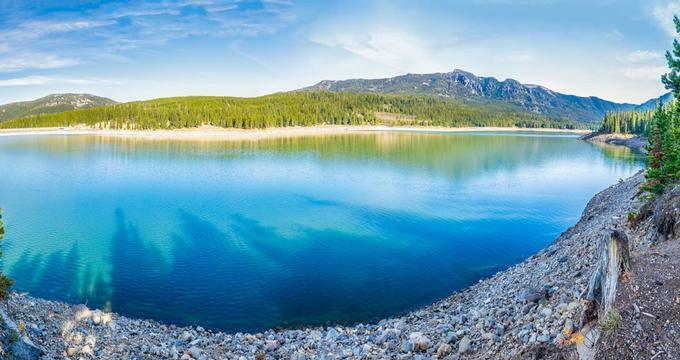 The main trail leads via Hyalite Canyon Road, past the scenic Hyalite Reservoir. The trail, which is about 1.2 miles round trip, is completely paved and pleasantly shaded, with a few nice views of the mountain peaks through the trees. There is a nice picnic area at the base of the falls, where the water mist creates pleasant, cool air. The Museum of the Rockies is the place where you can see a real Tyrannosaurus skull, the thigh bone of a Tyrannosaurus rex with some fossilized meat still on it and generally the largest collection of dinosaur bones in the country. This fascinating museum, which is part of the Montana State University, is also the place of work of Dr. Jack Horner, the scientist behind the Jurassic Park creatures. While the dinosaur bones are a popular reason for people coming to this museum from all over the world, the main focus of this highly acclaimed history and research museum is the cultural and physical history of the Rocky Mountains and the animals and people that lived in the area for the last 500 million years. Its most fascinating permanent exhibits, besides dinosaur fossils in the Siebel Dinosaur Complex, are: Enduring Peoples, about American Indians from the Northern Plains; History of the Northern Rocky Mountain Region, about the frontier days in the region and the people that lived through them - Native Americans, gold seekers, fur traders and white settlers; Living History Farm in the Tinsley House, about the life of a family during the turn-of-the-century; and the Taylor Planetarium. The American Computer and Robotics Museum describes the history of communications, computing, artificial intelligence and robotics through fascinating exhibits that show the unrelenting progress that lead to the modern information age. 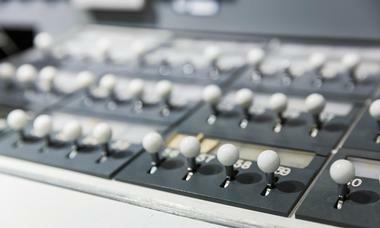 The exhibits include old office equipment that many people still remember using, such as typewriters, adding machines and the original 1970s computers the size of an entire room. You can also see the original Apollo Moon Mission Guidance Computer and a copy of an original book by Sir Isaac Newton called Principia, which is considered to be the foundation of physics. You will also find a collection of documents from people who contributed to the progress of the Information Age such as Thomas Jefferson, Alexander Graham Bell and Samuel Morse as well as a part of the ENIAC computer, the first personal computers such as the Altair, the IBM PC, the Apple I and much more. Bridger Bowl is located just north of Bozeman, in the heart of the Gallatin National Forest, on the slope of the scenic Bridger Range, a sub-range of the Rockies. This lively ski area is locally owned, non-profit and equally popular among locals and tourists. 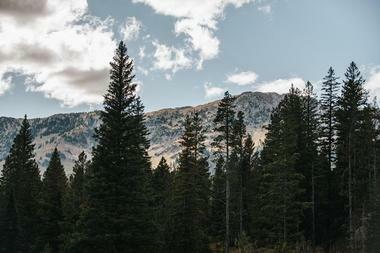 The area stretches for about two miles from the mountain ridgeline to the bowl base at about 6,000 feet. There are 75 marked and many unmarked trails. The ski terrain is suitable for all skill levels and has a soft progression from beginner slopes in the base of the bowl to expert terrain at the top of the ridge. Bridger Bowl's Ridge Terrain includes all runs that start from the Schlasman chair lift and is considered an extremely challenging skiing and snowboarding area. It contains rock cliffs, steep chutes and numerous snow fields. Skiers must be equipped with an avalanche transceiver, should ski with a partner and should be expert skiers or snowboarders. Every time there are more than two inches of snow in the Bridger Bowl, locals are alerted by a blue beacon on top of the Baxter Hotel. Montana Grizzly Encounter in Bozeman is the place where you can get close and personal with legendary grizzlies. It is a Grizzly Bear Rescue & Education Sanctuary that provides a natural home for rescued grizzlies and offers an opportunity for visitors to learn about these majestic animals, their conservation and threats. All bears in the sanctuary were born in captivity and were rescued from often cruel and inhumane situations. They cannot be released into the wild. They live their lives without bars or cages, in the environment that is as close to the one that is natural to their species, in the beautiful mountain setting, surrounded by ridges and fields filled with flowers and small ponds. A cultural icon in Montana, the Bozeman Symphony Society has been bringing symphonic music to life since 1968. Visitors are urged to join the growing number of students, individuals and musicians who devotedly come together with the aim of preserving musical excellence. The symphony also supports many community outreach programs and donates tickets to non-profits in an attempt to share their love of music with everyone. Young musicians are supported with scholarships and various other opportunities. Visitors can experience the artistic influences of musicians of all ages through the many events and programs that are scheduled. Named after the U.S. Treasury Secretary, Albert Gallatin, the Gallatin River is 120 miles long and is one of three rivers that forms the Missouri River. Considered one of the best whitewater rafting runs in the Yellowstone area, visitors from all over flock to the challenge. 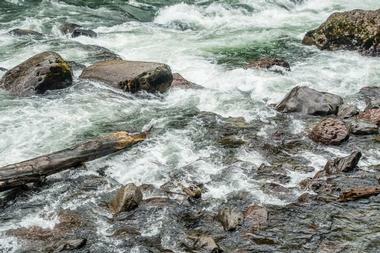 The scenic river winds through mountainous meadows and descends into the Gallatin Canyon. It is a popular destination for fly fishing where mountain whitefish, brown trout and rainbow trout are popular fish species that are found. Visitors are urged to take in the incredible scenery while zip lining, kayaking or camping in traditional Native American teepee style on the many campsites along the river. Preserving the history of Gallatin County and Southwest Montana is the Gallatin History Museum. Visitors can step back in time and better understand the county’s rich history and heritage through a number of displays and artifacts. Exhibits include notable jail cells, hanging gallows, a model of old Fort Ellis, a reconstructed log cabin, the infamous Big Horn Gun, Bozeman’s first steam-powered fire engine and personal pieces belonging to many people who have called Bozeman, Montana home. There’s a permanent exhibit dedicated to the history of Native American tribes who lived in Gallatin Valley. The museum boasts a photo archive of over 18,000 historic images as well as a book store with historic, hard-to-find merchandise for visitors to take a little bit of Bozeman back home with them. The Emerson Center for the Arts and Culture, listed on the National Register of Historic Places, is a space for working artists and musicians to release their creativity. Since 1993 the center has opened its doors to the public to enjoy the many exhibitions, retail shops and to enjoy music and movies in their theater. There are many events for visitors to partake in other than the dedicated exhibitions; there is a dance studio, pottery studio, the Galleria Hall and the Jessie Wilbur Gallery for children to take part in an art project. Some of their popular special events include an open house and art walk, lunch on the lawn, which has live music and food vendors, a foosball tournament and a garden tour, which showcases unique horticulture. The Yellowstone Safari Company has been giving visitors the opportunity to experience Yellowstone National Park wildlands and wildlife in an educational and fun environment since 1991. Priding themselves in attention to quality and detail, the safaris they offer include Yellowstone safaris, Llama treks, hiking, backpacking, river safaris, a winter safari or a personal guided tour. Visitors can also go on a special interest tour, focused on photography, the Lewis & Clark expedition, Indian country or Montana’s ghost towns. 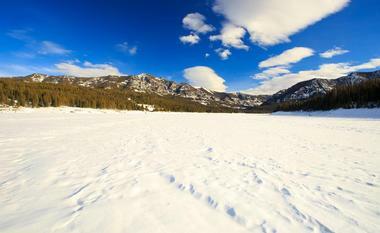 The winter tours, which include wolf watching and winter camping, are also a unique experience for visitors in Bozeman during the colder season. The Bohart Ranch Cross Country Ski Center was established in 1987 and is located in Bozeman, Montana, in the Bridger Mountains in the heart of the Rockies. 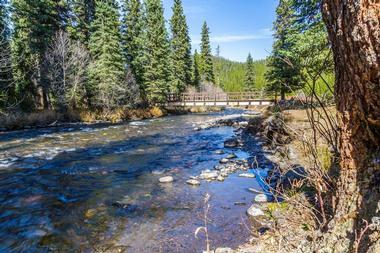 Visitors of the Bohart Ranch can enjoy the solitude and scenic beauty of their surroundings. Other than the ranch, there is the Bohart Ski Center with over 30,000 kilometers of trails for smooth and consistent skiing. The ranch is open for skiing from December to March, but during the rest of the year visitors can enjoy walking the trails, going for a run, mountain biking or horseback riding. It’s a perfect backdrop for a family reunion or a business retreat. In the early 1900s palatial playhouses filled with live theatre, variety shows, silent movies, school plays, operas and band performances were the norm in many towns, and Bozeman, Montana was no different. Designed by renowned architect Fred Willson, the Ellen Theatre was built by a founding family of Bozeman for their mother Ellen Trent, after whom the theatre is named. Friday nights with a sweetheart and Sunday family concerts were the norm. In the ‘20s, The Ellen became a favored location on the vaudeville circuit and had many stars pass through, including Vivian Vance also known as Ethel from ‘I Love Lucy’. After years of being disregarded, with television and VHS becoming the norm, the Ellen Theatre was revived with the goal of returning theatre to the community. 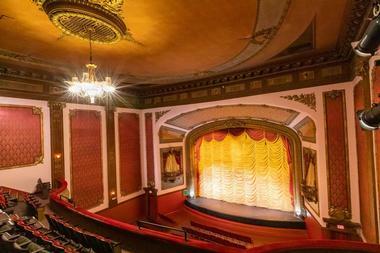 Visitors can now bask in the renovated beauty of the theatre’s gilded carvings and fixtures while enjoying one of the many performances and shows scheduled there. 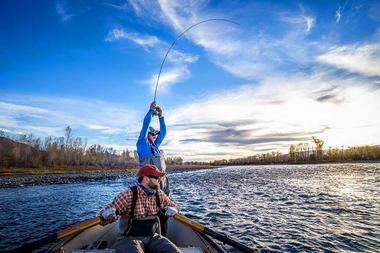 The Montana Angler is a family run business famed for their fun fly fishing day trips. 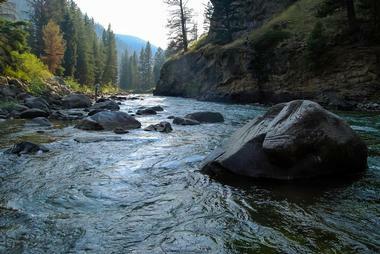 Visitors can choose from excursions to one of Montana’s 20 rivers or many other private waters, spring creeks and lakes. No better way to spend a day in Montana than on a fly fishing trip where guests can choose to float fish, wade or blend riding and fishing. The knowledgeable guides combine their education and know-how to ensure that visitors have an amazing experience. The waters are flowing with trout and the passionate professionals at Montana Angler know just where to take visitors, ensuring a fun-filled memory that will last a lifetime. Since 1980, if visitors wanted to shop in southwest Montana, they went to the Gallatin Valley Mall. 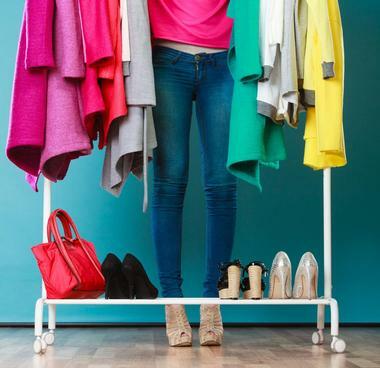 With over 65 stores, shoppers can get a retail experience filled with clothes, shoes, electronics and everything else they could possibly think of. Many major retailers have joined the Valley Mall family over the years including Macy’s, JC Penney, Barnes & Noble, Sears and Petco. Other than the wide selection of retails stores, visitors will also find plenty of parking and a number of restaurants in and around the area. The malls host many events throughout the year from Easter fun in the spring to the North Pole during the holiday season. In 2001 two Bozeman residents realized the need for experiential learning opportunities for children to grow. They took it upon themselves to create interactive mobile exhibits which they presented at farmer’s markets, parades and community events, creating awareness and kicking off fundraising efforts in the process. The Children’s Museum of Bozeman soon grew and is now a 4,800 square foot facility with interactive exhibits, classrooms, a play yard and a garden. It is a safe, educational space for children that offers after-school activities, enriching summer camps and educational programs throughout the year. One of their more exciting exhibitions, Make it in Minecraft, allows children to virtually build in Minecraft and make it a reality with 3D printers. For a hilariously risqué theater experience in Bozeman, visitors are invited to visit the Verge Theater, formerly the Equinox Theater. The theater aims to please with a variety of performances for children, young adults and the adult thespian community. There are many classes and educational programs for theater-lovers of all ages such as Youth Classes, Teen Theater and Adult Improv. The adult’s improv class welcomes everyone and is a great way to learn the basics of improv through scene work and creative collaboration. Visitors can learn to think on their toes, build confidence in public speaking and just let loose and have fun in the many classes offered. More ideas: 25 Most Beautiful Places to Visit in Montana. The Big Sky Resort on Andesite Mountain allows visitors to experience the beauty of Bozeman, Yellowstone, Montana and everything that surrounds this wondrous place. Zip lining, snow shoe tours, high ropes, a giant swing, a bungee trampoline, climbing wall, dog sledding, sleigh rides, snowmobile tours, Nordic skiing and snow coach tours are just a few ways visitors can spend their time. Visitors can also take part in many mountain sports, take a few lessons, enjoy live music, go shopping or dine in one of the delectable restaurants on offer. Greater Yellowstone Guides is perfect for visitors looking to get a personalized experience of Yellowstone National Park’s 2.2 million acres at their own pace. Explore the scenic country with a private tour group led by a highly-trained, experienced guide. Visitors can customize their day according to their interests. From waterfalls or wildlife to hiking or the Grand Canyon, what visitor’s prefer is what the tour will focus on. Visitors get a much richer experience with an interpretive and experienced guide who is motivated to make sure they discover the breathtaking beauty of Yellowstone Park. Visitors can cool off on a hot summer day with a river tubing trip in the Madison River! Family-friendly and hassle free, the Madison River Tubing company offers a fantastic way to relax: By floating in warm waters under the big Montana sky. Multiple trips are made daily and include tube rental and a shuttle to and from the Madison River. There are additional items visitors can rent including paddle boards, floating coolers, waterproof Bluetooth speakers and life jackets. Visitors who are traveling in a group can also float as a group; up to 8 tubes can be connected to float together for an exciting day on the water. Cafe Fresco will delight you, both with imaginative, flavorful Italian food as well as with a welcoming, cozy atmosphere. You will feel at home whether you are a student in torn jeans or a businessman in a suit out to impress a client. 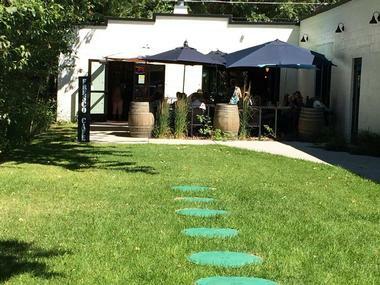 The great location, in the heart of Bozeman, on the banks of Bozeman Creek, and a lovely outdoor patio are just two of the reasons this sophisticated restaurant is so popular. All dishes are made from scratch with fresh, local ingredients and main courses even come with a wine suggestion. A good example of what the restaurant offers is their fabulous Seafood Arrabiata. Fresh seafood is sautéed in shallot, garlic, purple cabbage and chipotle, tossed with roma tomatoes and roasted peppers and served with local fettuccine. The wine selection is excellent and there is a rotating choice of local brews. You will know you have come to the right place for a real, hearty breakfast or lunch when you see a bunch of locals perched on the high, round chairs along the long counter. 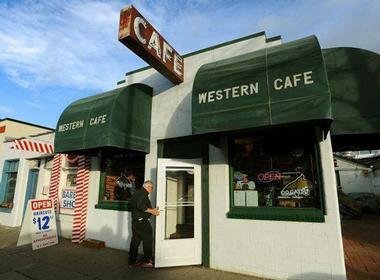 Located on the Main Street in Bozeman, The Western Café is a city institution with its welcoming, no-gimmicks décor, friendly atmosphere and absolutely delicious homemade food. The Café prides itself on getting all ingredients locally and working with neighborhood farms, bakers, ice cream makers and other food-growing friends. There are no gimmicks when it comes to food either, just honest, well-prepared while youwait good old favorites. 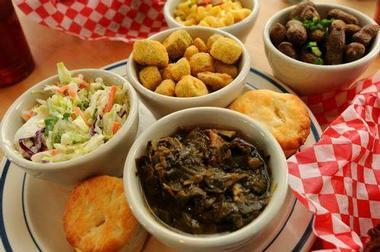 Excellent burgers, sandwiches, homemade soup and fried chicken are just a few of the comfort foods you can find on the menu. The breakfast menu is huge, so making a choice (and not stuffing yourself!) is going to be your biggest problem. » La Chatelaine Chocolat Co.
© La Chatelaine Chocolat Co.
Chocolate lovers beware! Once visitors enter this Bozeman-based chocolaterie, they might never want to leave. The culinary concoctions are created by Wlady Grochowski and Shannin Grochowski, who were trained by renowned pastry chefs such as Pierre Prevost and Sébastien Gaudard in Paris. 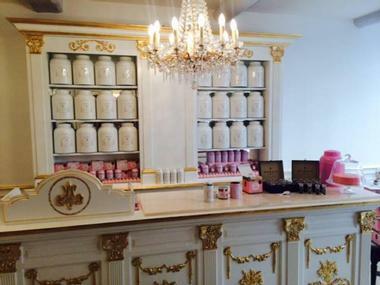 Visitors will find chocolates that are not only delicious works of art, but also created with care and love. Some of the choices include the Montana Mint, which is a mint infusion wrapped in dark chocolate and topped with candied mint, or the Port Wine, which is tawny port in a dark chocolate ganache and sprinkled with cocoa powder. When these boys from Chattanooga, Tennessee came to Bozeman to fish, all they were missing was their mom’s real-deal, finger-licking southern fried chicken. So, they opened Roost Fried Chicken, a small, unpretentious restaurant right on the Main Street, with a few table inside and a few more out on the patio. They serve up chicken rotisserie, deep fried chicken, chicken on the stick or chicken in a salad, and as you might imagine, the smell will get you long before you arrive at the counter. They are all juicy, delicious, well spiced and come with great mashed potatoes, biscuits, salads or mac and cheese. Don’t forget to ask for a piece of their fabulous homemade pie. Montana Alpine Guides is the premier guide for visitors of Montana looking to ice climb, rock climb, mountain climb or go backcountry skiing. Based in Bozeman, it is surrounded by the Hyalite Canyon and Gallatin Canyon, the second home and playground of the guides at Montana Alpine. This group of experienced professionals include the owner and Chief Guide, Sam Magro, who has been professionally guiding since 2004. Visitors can embrace their passion for climbing, build their skills and have an all-around good time! 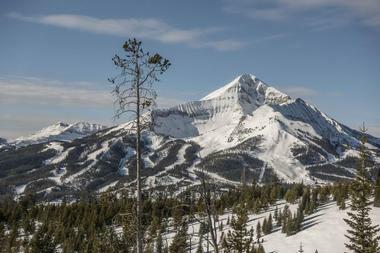 The Montana Alpine Guides give visitors a vertical exploration of Montana that can’t be found anywhere else. La Chatelaine Chocolat Co., Photo: La Chatelaine Chocolat Co.